Sometimes I’m just not going to get a good picture. I found this plant on two occasions. 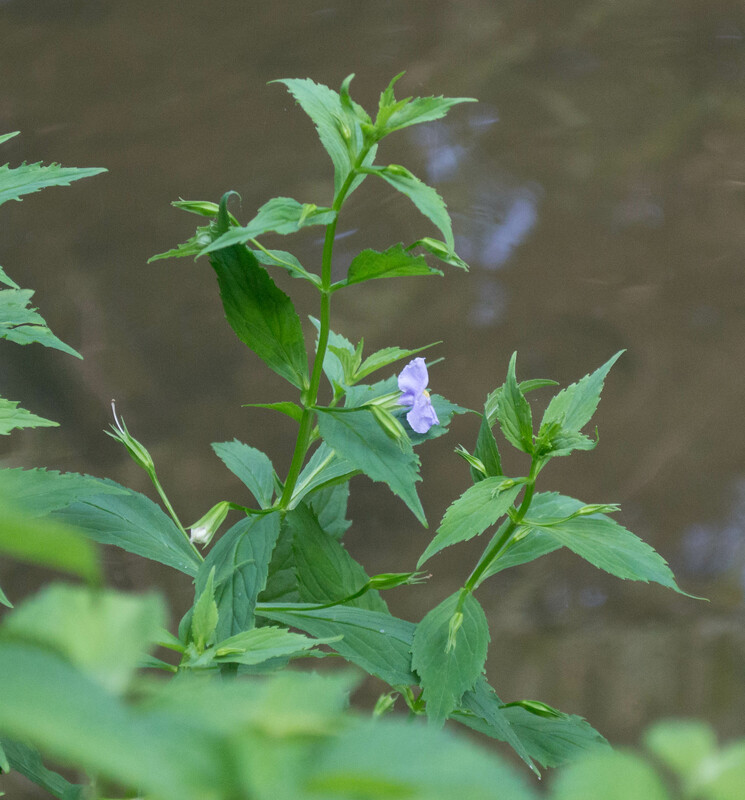 Both times, it was growing right at the edge of the canal, about ten feet away down a steep, poison-ivy covered bank. I’ll do a lot for a good picture, but I have limits. There are three monkeyflowers found in this area; one of the others is called winged monkeyflower, a name that starts music from a certain seminal color motion picture start playing in my mind. I found that one last summer in a marsh at the foot of Carderock but haven’t seen it this year. This one is found all over the US and Canada except the mountain West. It can grow up to three feet tall, and obviously likes wet soils and full sun. 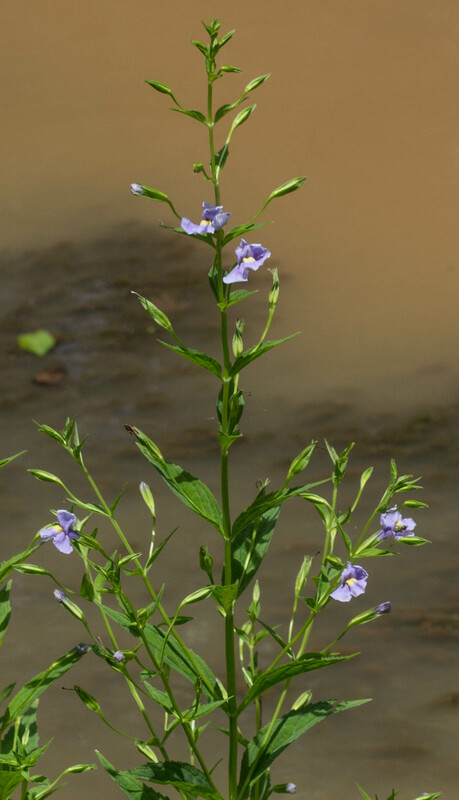 This entry was posted in Uncategorized and tagged allegheny monkeyflower, monkeyflower, native plants, Scrophulariaceae, wildflowers by elizabeth. Bookmark the permalink.